Heritage Book Shop | Antiquarian & Rare Books - specializing in first editions and hard to find out of print items. Owned and operated by Ben Weinstein, who has been in the business of antiquarian books for over fifty years, Heritage Book Shop's inventory consists of some of the finest items in the areas of first editions, early printed books, bindings, illustrated books, literature, and manuscripts. Heritage Book Shop serves a clientele base consisting of private collectors as well as esteemed public institutions. We take great pride in the dedication we offer our clients. 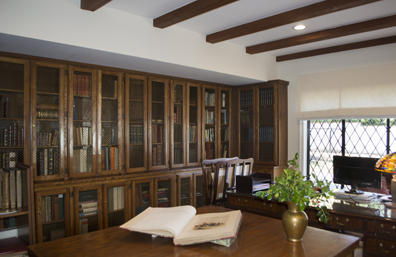 Whether you are building a first-rate collection of a favorite author or an extensive library, we look forward to offering the experience of our knowledgeable and helpful staff.